We are now in the fourth week of Lent. The year seems to be moving fast, as the season of joy quickly made room for the season of penance and atonement. As you know, this has been a difficult time for our community, as our Superior was hospitalized in critical condition and it appeared that he was at the end of his earthly journey. He may wish to describe his journey later on. As a bystander, I can mention that he was unexpectedly sick and that his condition at the ER became critical. Our good friend Fr. Jeff, Pastor of St. Maximilian Kolbe parish, came in as quick as possible to anoint Brother Jay. He was in an induced coma and a ventilator for two weeks, surrounded by the love and prayers of his community, his family, friends, and benefactors. Friends from across the globe joined in prayer. The amount of support he received was overwhelming, and a true blessing for those of us who still need Brother Jay in our formation and daily life as a mentor, guardian, and even “just” as a friend. While at the hospital he received the best care but we also witnessed the ongoing struggle between two mindsets, one fed by the Culture of Death that focuses on giving up, taking shortcuts, and ultimately trying to “focus on the quality of life” (that is to say, slowly push over the edge the person who is chronically or terminally ill), the other one fed by the Gospel of Life, manifested by many who expressed hope and even faith in the improvement and recovery of Br. Jay, if it be God’s will. 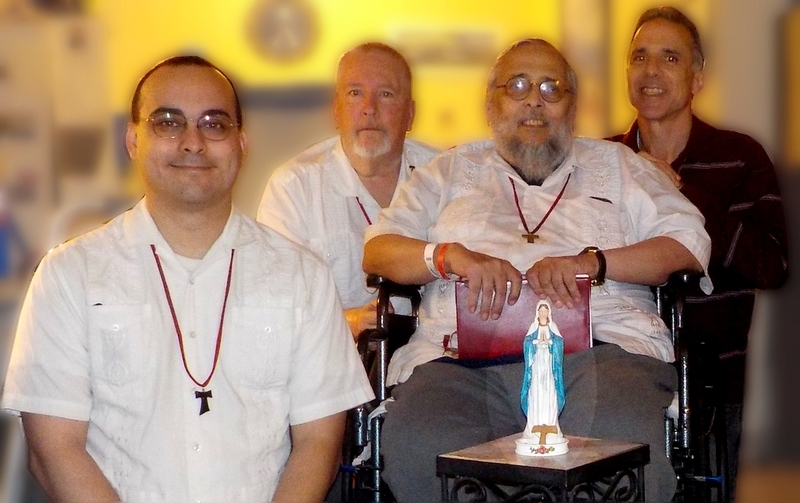 To make a long story short, Brother Jay recuperated slowly, was eventually transferred to an acute rehab center where he met the kindest people but also was under a strict schedule that involved early rising, hours of physical and occupational therapy, and lights off at midnight. Brother Jay went into induced coma praying the Divine Mercy chaplet and, ever since waking up and having the ventilator removed, resumed as much as possible his prayer life. 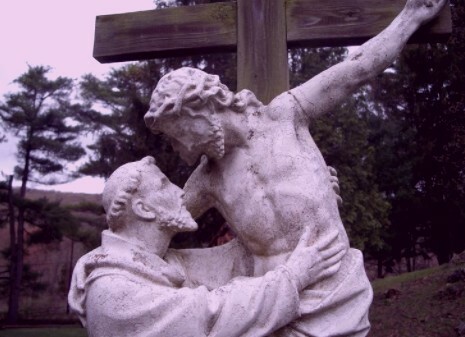 This was a powerful example for us his brothers and disciples, and also for those who take care of patients who are chronically or terminally ill.
By the grace of God he completed his rehab program faster than anyone could have predicted, and was discharged to the motherhouse. His journey is far from over, and his medical condition remains, as always, delicate, therefore we do appreciate your prayers and, if possible, even a bit of your support. However if “the flesh is weak”, “the spirit is willing”. Tonight we gathered again to “look back” at the last month or so and make plans to “move forward” in accordance with our charism. We have many ongoing projects and we have not slowed down our Lenten penance one bit. We would like to take this opportunity to promote an upcoming Respect Life Ministry event. 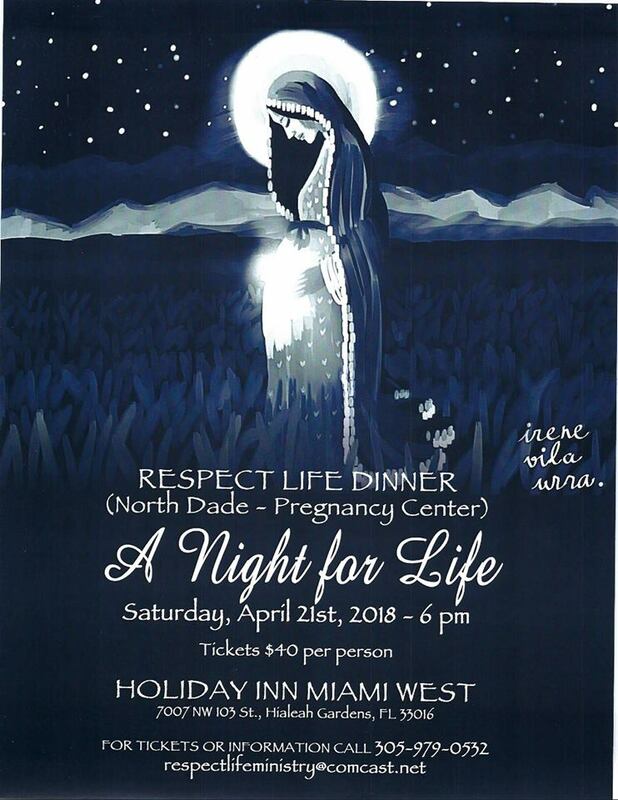 As you know, the Franciscans of Life work closely with Respect Life Ministry Archdiocese of Miami, particularly through our joint venture, Project Joseph, still led by our Superior. And by the way, we would like to acknowledge the support received by the Knights of Columbus towards promoting and expanding Project Joseph. This is very motivating. We are especially grateful for the dedication shown by the Sir Knight Ed Suazo, who was trained and installed as Project Joseph mentor at the South Dade Pregnancy Help Center near FIU. We would also like to acknowledge that we have been invited by Ave Maria University for their upcoming Pro Life Workshop to give a talk on pro-life ministry to men. Given the recovery of our Superior we are not sure we will be able to attend but we strongly encourage you to support this event. It is worth noting that one of the conference organizers is an FIU Campus Ministry alumni with an outstanding record of dedication for the proclamation of the Gospel of Life. 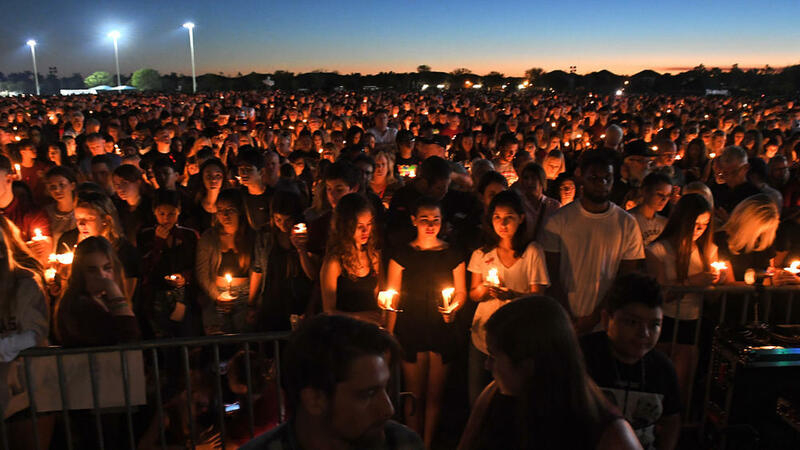 We cannot conclude without mentioning that our prayers have been and will continue to reach out to those affected by the nearby tragedy at Marjory Stoneman Douglas High School, which occurred on the very day when the Universal Church gathers to receive the ashes as a sign of penance for the sins of the world and the remembrance that “we are dust, and to dust we shall return” and we are therefore to “repent and believe in the Gospel”, which is the only way to eternal life. One of the victims was a CCD teacher at a nearby parish known to some in the CCD staff at St. Max, while another one was a parishioner of Nativity Catholic Church and one of our brothers was able to attend his funeral, one among a large crowd including survivors from the event, veterans from the military (as the victim was a veteran himself) and also the Governor and H.E. the Archbishop. We pray to the Almighty for the eternal rest of the souls of the victims and for the healing and consolation of those affected directly or indirectly by this tragic event. We also and especially pray for the conversion and healing of the perpetrator, who has been demonized by the media, forsaken by many (his natural parents have passed away), and now faces the inhumanity of the death penalty. Last, we pray for all those who have made use of this tragic event – many in good faith! – to further or fuel their political agendas through the media (including the social media outlets) and even through social activism. Let us never forget that (a) there are much larger and deeper roots to this evil that would become visible if we took at step back and engaged in some introspection, and (b) that a society that has forsaken all faith in the true God, has embraced a relativistic concept of good and evil, and promotes, as it were, in a bipartisan effort, the Culture of Death, has entirely lost its moral and ethical compass, and therefore will never be able to bring about, by mere legislative changes, peace and social justice as understood and taught by the Catholic Church. This Lent, let us reflect on the absolute, unconditional dignity of human life, and on the love shown to sinners and saints by God who dwelt among us, suffered with us, and died for us, only to rise and proclaim that there is no such thing as death for those who follow the Way, in the footsteps of a King whose homeland is not in or of this world. An excellent piece, brothers. Thank you for the update on your Superior… He (and the community) will remain in my prayers as we continue the journey set before us by our Lord. Also, thanks for the great news on the Respect Life Conference; prayers and thoughts with us all on that front. Finally, thank you for the thought provoking (and Life embracing) perspective on the tragedy in Parkland. May the mercy of our Lord continue to guide us through these difficult times.